The harsh environment in the Antarctic is not a big deal for emperor penguins. They have cooperative behavior and great physiological adaptation. Even though the wind chills for about -60 degree Celsius, they can survive here. Most emperor penguins live in a group. It can prevent the heat lost when they huddle together. When a penguin has got the warmth, it will move to give another penguin a chance to enjoy protection from the ice and wind. Get more penguin facts here. 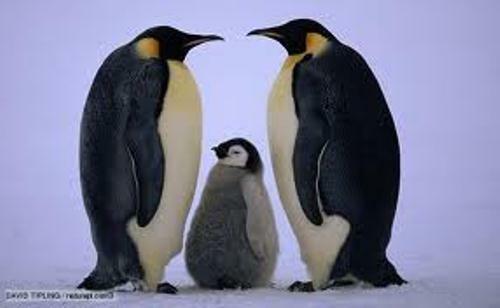 The main diet of emperor penguins is krill, squid, and fish. They love living in Open Ocean to catch the prey. 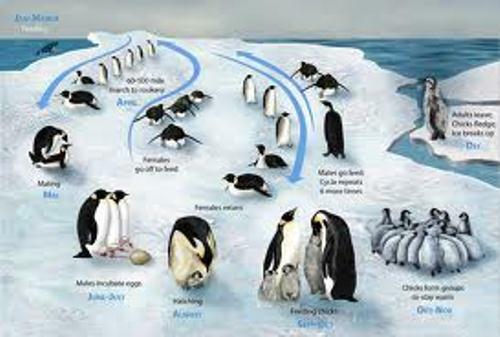 The female penguins have to travel 80 kilometers to get here. Find penguins in Galapagos Island facts. The ability of emperor penguins to swim under the water is great compared to other birds in the world. They can dive up to the depth of 565 meter or 1,850 feet. They can stay underwater for about 20 minutes. 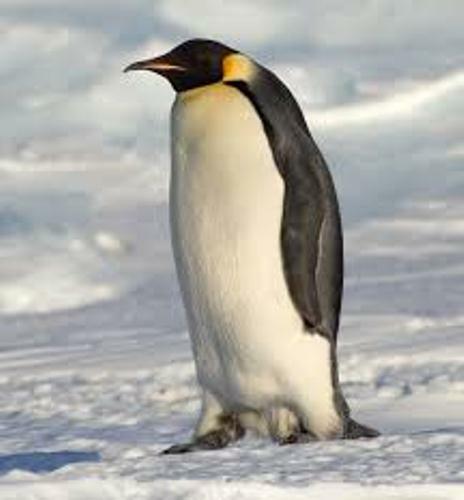 The main duty of male emperor penguins is to keep the egg warm. They will use the feather skin to cover the eggs. One thing to remember it is different from any other birds because the male emperors do not sit above the eggs. The babysitting is conducted for about 2 months. They will eat nothing. The female penguin will return to the breeding site with full of food that they can use for the newly hated emperor penguin. The baby sitting of male emperor is done when the female comes home. They will go away to the sea to search for other food and take them again to the breeding site. Young emperor penguins learn to swim and catch fish when the Antarctic summer begins in December. When the emperor penguins are thirsty, they will drink the sea water. Even though the flippers seem to make they fly. Actually penguins cannot fly. The flippers are used by penguins to swim on the water. Most penguins can be seen in living in northern hemisphere. There are no single penguins living in North Pole. If you want to know the population of large penguins, you can visit Australia, New Zealand, South Africa, Argentina and Chile. 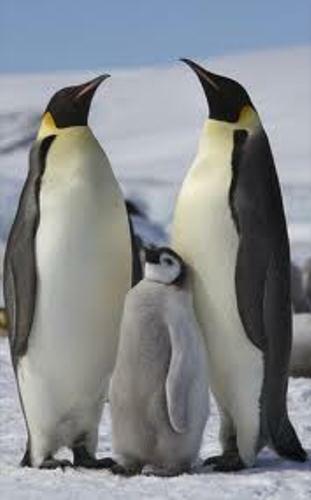 Emperor penguins are considered as the tallest penguins. They can have the height around 47 inches or 120 cm. 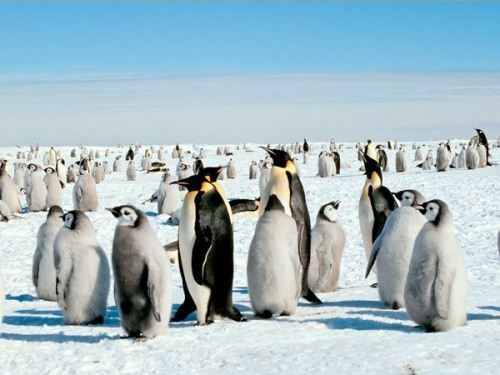 Emperor penguins will never catch cold if they live in a group. If you want to know the second large penguins, you can see king penguins. Please give some opinions on facts about emperor penguins?